If you happen to be some of the many people who haven’t been able to find solar eclipse glasses in your area don’t fret completely. You and your family can still take part in this exciting event. 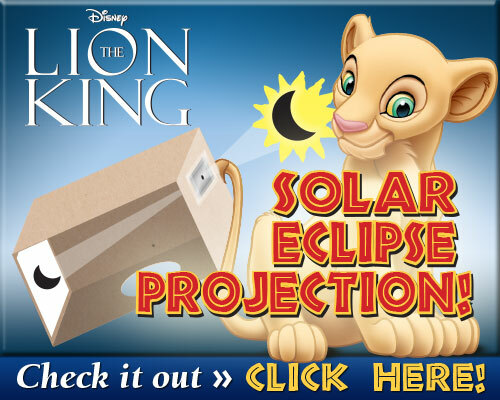 Check out these SOLAR ECLIPSE PINHOLE BOX PROJECTOR and BINOCULAR PROJECTOR activities we have on our blog today brought to you by The Lion King Signature Collection. My husband made a shoebox projector way back in the day when he was in grade school and he says they really work! Just click on the graphic above to download the instructions to make these neat projects for the eclipse. Disney’s The Lion King is available on Blu-ray™ Aug. 29th.